A Bald Eagle purched high above the Gunpowder River. The Bald Eagle (Haliaeetus leucocephalus) is a recognizable symbolic of America and a powerful, graceful and beautiful bird. 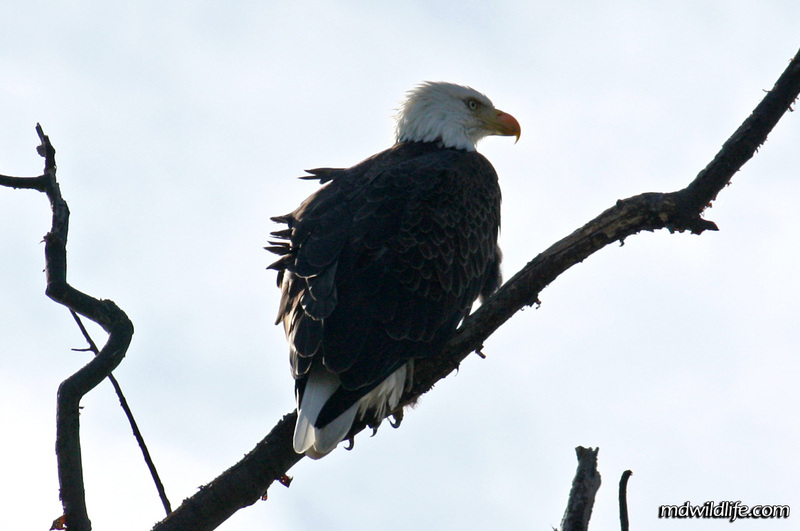 The Bald Eagle nests mostly along the shores of Maryland, within the east coast watershed. I have photographed Bald Eagles at the Eastern Neck Island Refuge, Blackwater Refuge, Elk Forest WMA and Gunpowder Falls State Park. Eastern Neck Island closes off one of its trails to allow Bald Eagle nesting to go on undisturbed during summer months. I have also been to Blackwater at a time when the wildlife drive was closed to allow for Bald Eagle nesting, so it’s a good idea to call ahead of time, if you’re thinking about hitting one of these refuges in May or June. I have been told that the Conowingo Dam is a fantastic spot to photograph Bald Eagles in flight and diving at the water. I tried to check that spot at once, but found parking difficult and didnt see any eagles when I drove across the dam. If you have a powerful zoom, it may be worth the trip, just find the right time of year to go. 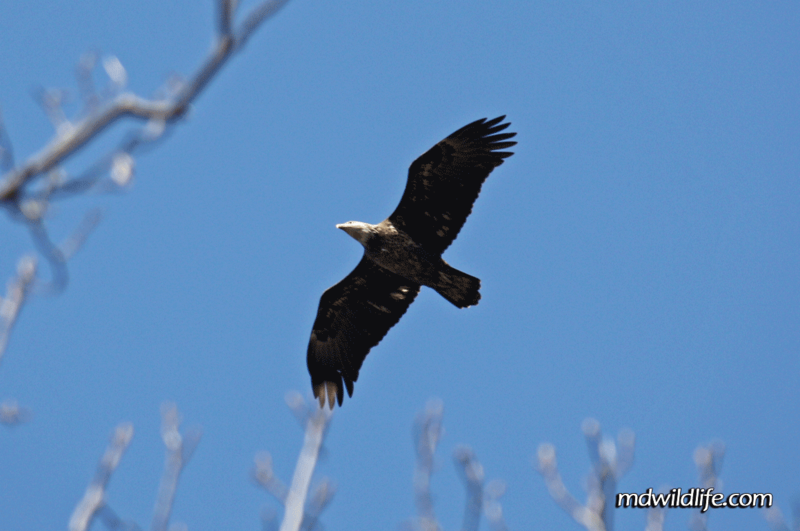 A Bald Eagle soars overhead at Elk Forest WMA.